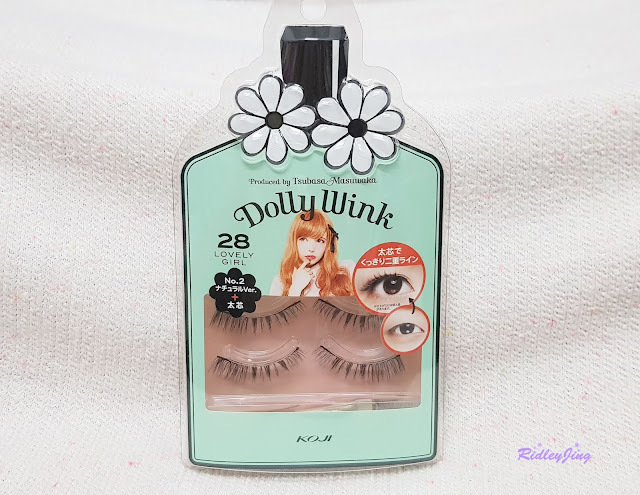 Hello everyone, it's good to be here blogging again to review and share on a new product with all of you. There were so many products coming out and introduced by Althea since January and this Body Mist was one of it. I'm not really a fans of body mist but review on this body mist is so good and I really want to try on it. 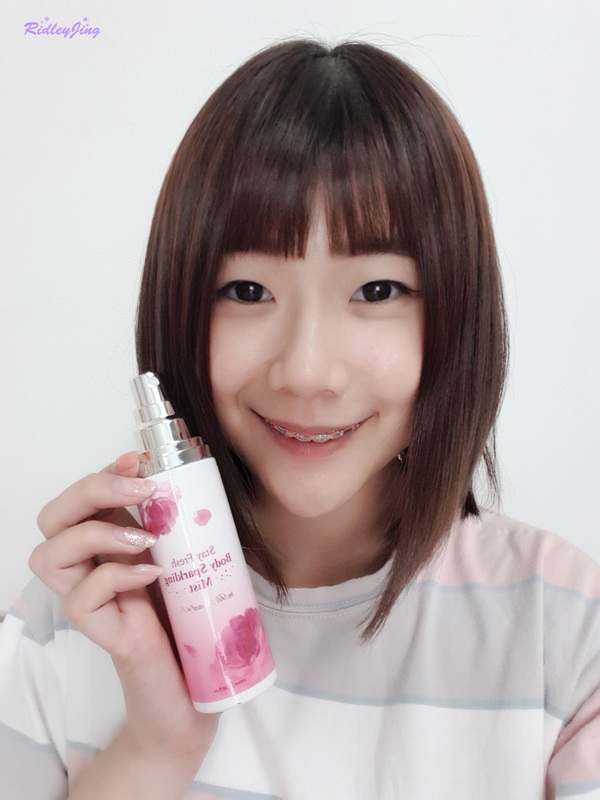 This is the Stay Fresh Body Sparkling Mist, a collaboration of Althea and the famous Indonesian Star, Titi Kamal. 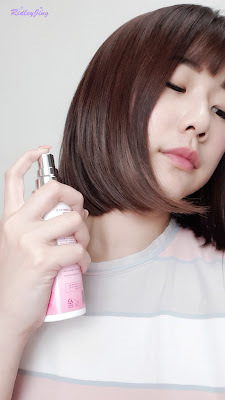 The body mist was inspired by her stylish yet comfort style and introduced by Althea as the elegant, fresh and sweet body mist which is suitable for daily application. 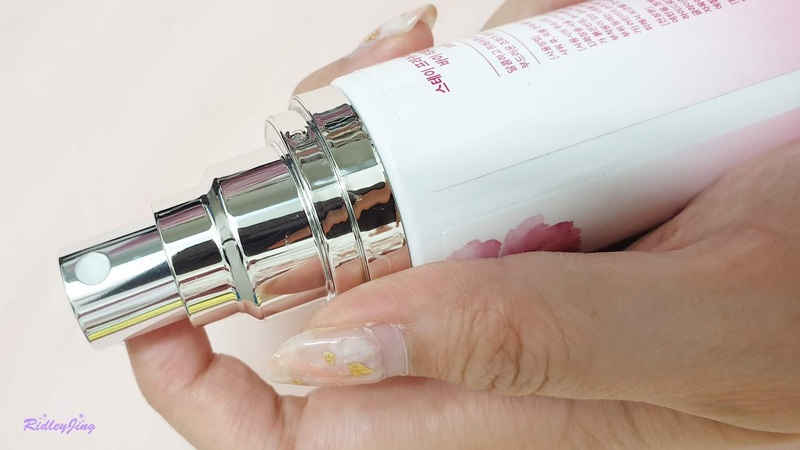 The packaging of the body mist is decorated with pink flowers. Personally, the packaging was actually a bit too plastic. But overall, the design was simple and easy to bring around in my bag. The body mist only comes in one size which contains a 100ml of product. I really hope it will comes in a smaller size, it will be much more convenience to bring around while travelling. 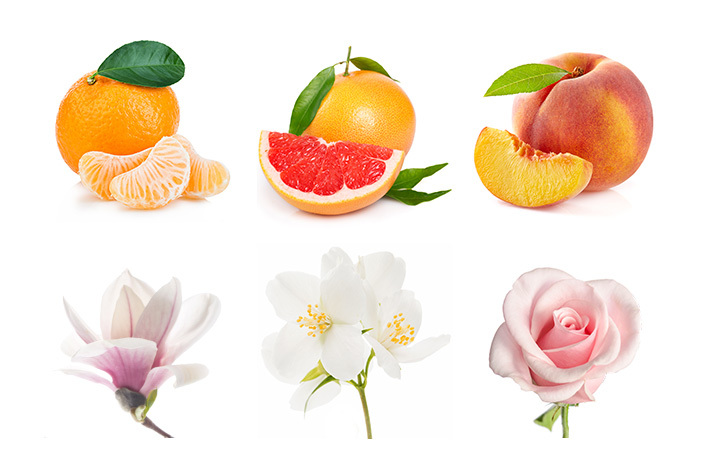 The main ingredients of the body mist are sweet orange, fresh peach and elegant rose. The fragrance is a very sweet fruity and rosy scent. If you prefer a sweet-sweet fragrance, this will be a good choice for you. I was impressed by the spray nozzle of this body mist. 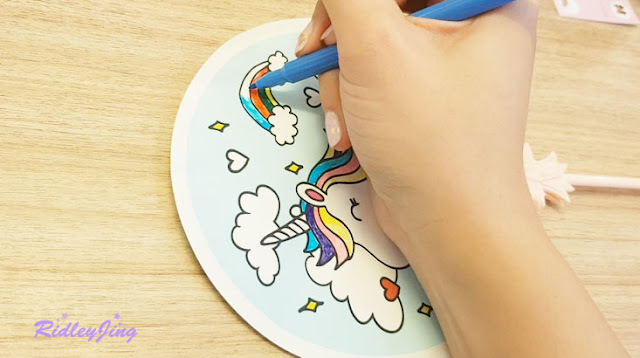 It sprays out the product very evenly in a large scale. Just a light press on the spray and you are good to go. It was meant for daily application, so you can bring it anywhere in your bag and use it to suits your own preference. I normally use it before heading out. As the body mist is non-sticky, I normally spray it near my neck area or hand wrist area. The best thing of this body mist is the long-lasting fragrance compared to other brands. No wonder it can be used as a perfume. There's no need to worry about the price because for this 100ml body mist, it only costs RM35.00 on Althea website! Sometimes you might get some discount too if you follow Althea's social media page. 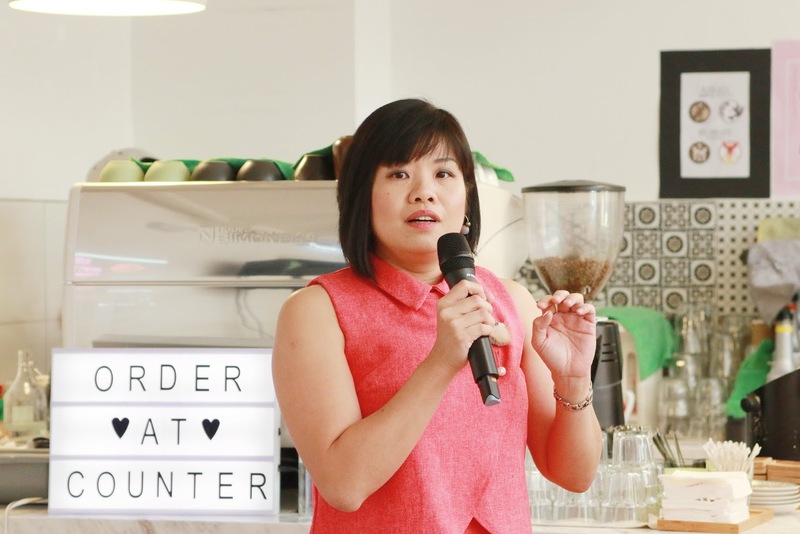 The price is considers as affordable for a body mist. 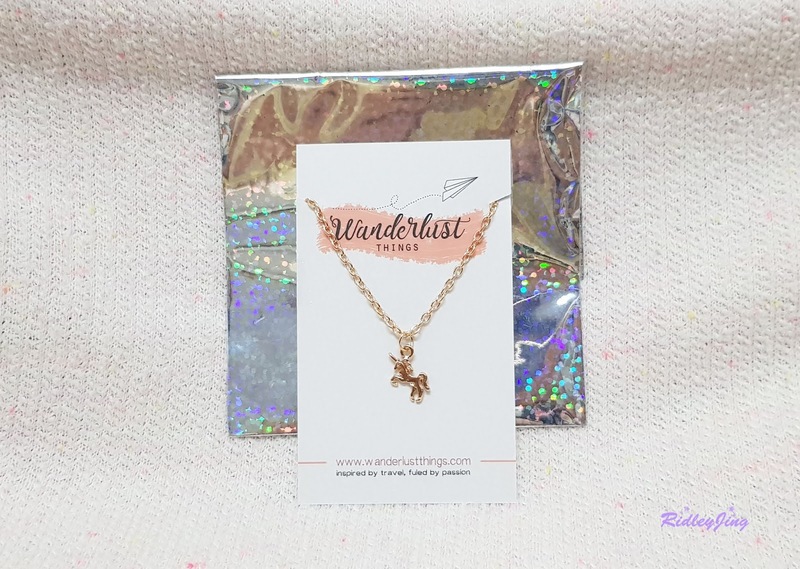 If you are first time Althea user, you may use my referral link to get 20% off your first order! That's all for my review! 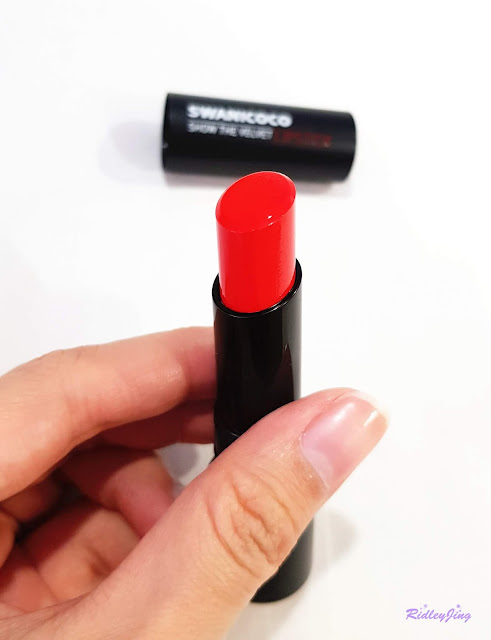 Swanicoco, the 2018 hottest brand in Korea is now here in Malaysia! Some of you might not be familiar yet with Swanicoco. Before I continue in introducing the new product, let's learn a little bit more about Swanicoco. 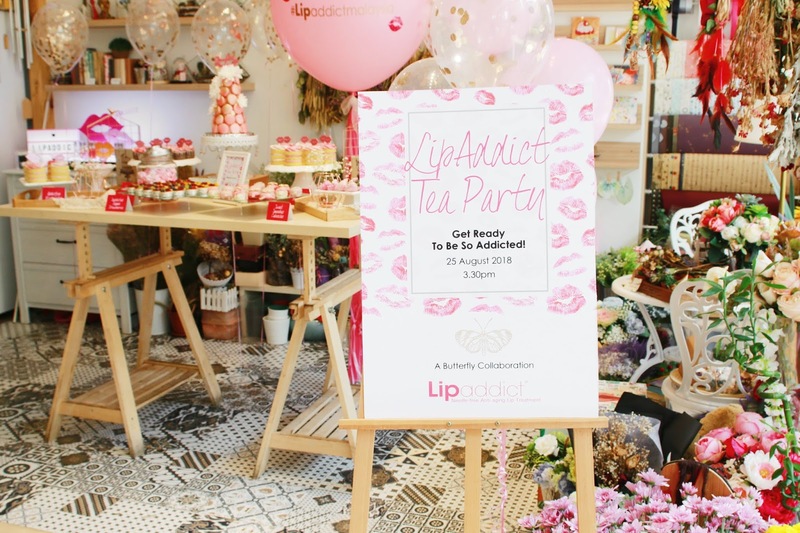 It's a natural cosmetics company that only focusing on natural ingredients for the best product's quality. 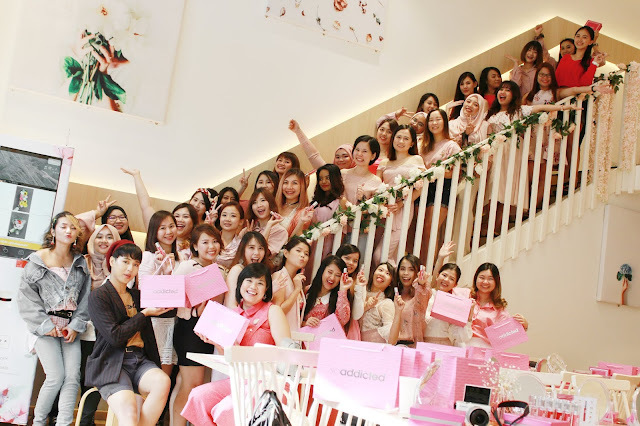 The company started off it's business by creating a natural fermented soaps and now they are actually the top natural cosmetics company in Korea. 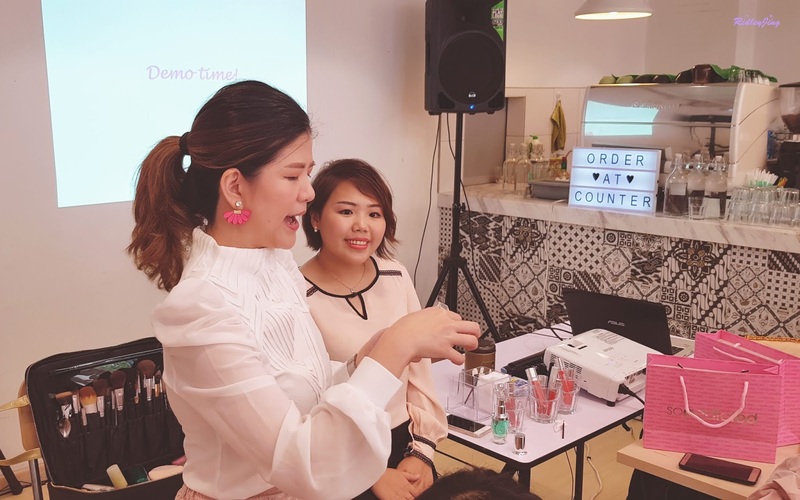 Their ingredients is mostly using grains, fruits, vegetables and Korean herbs that go through BIO Fermentation to provide the maximum skin improving effect. Moreover, it's Eco-friendly! 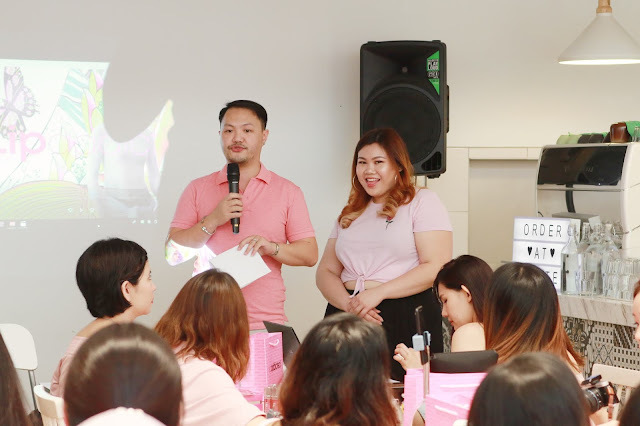 Actually their skincare products were already launched here in Malaysia, but now there's a new product from them and 50Gram will be the first to sell their new product! 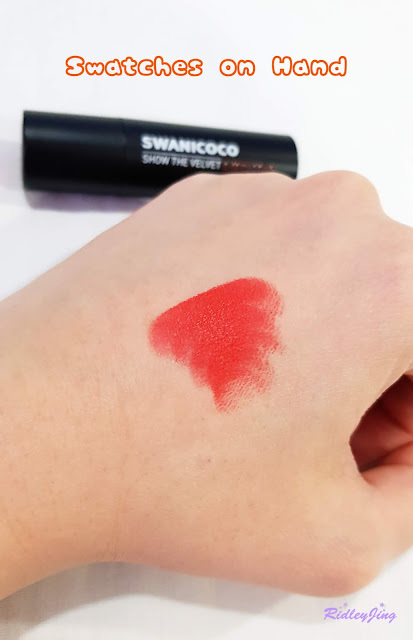 Thanks to 50Gram and Swanicoco for sending the new product to me, I will be reviewing Swanicoco 1st ever limited edition lipstick in Malaysia! YES, it's a LIMITED EDITION. Swanicoco Show The Velvet Lipstick (Black Edition)! Here's my first impression, the packaging is nice. It's packaging design is very minimalist with only three colours, which are black, red and white, make it looks more elegant in presentation. 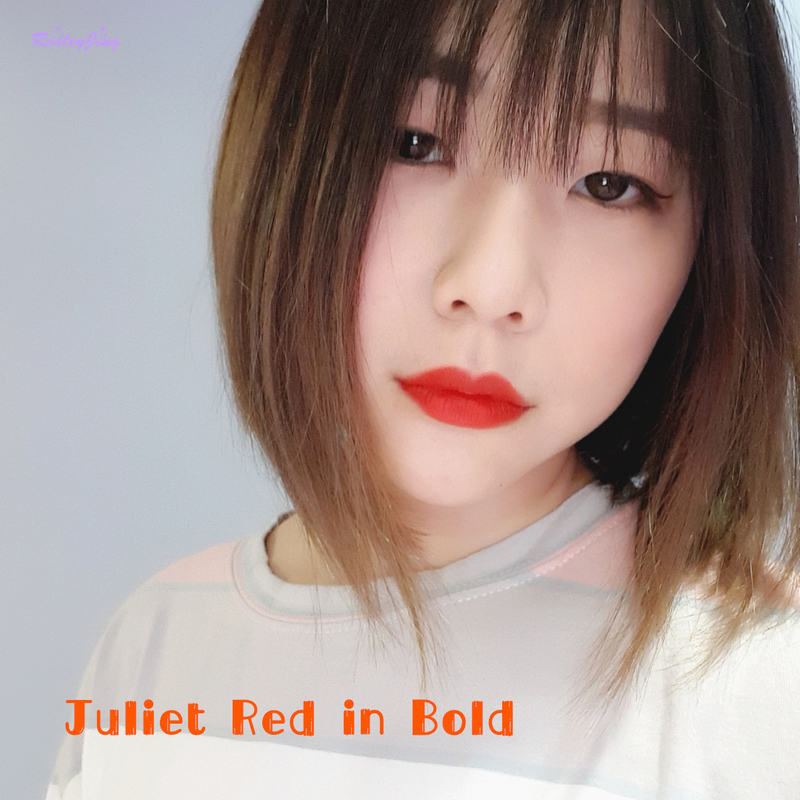 There are three vivid colors in total for this Show The Velvet Lipstick range but the color that I got here is the Juliet Red because it's the first and only color available in Malaysia now. It's a red lipstick, a very red lipstick color. 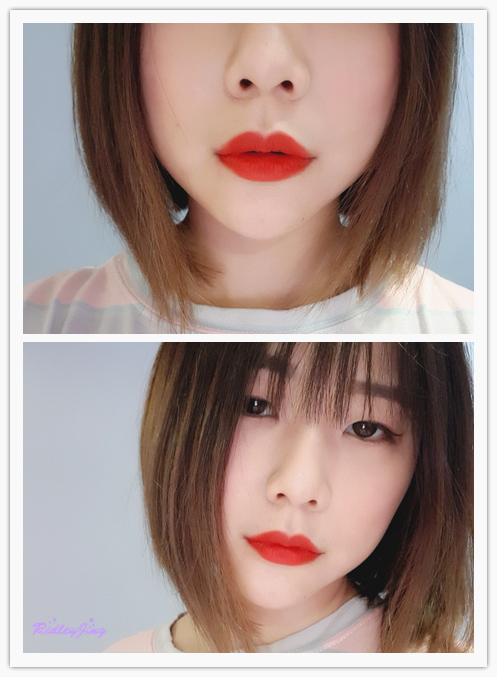 I was quite surprised with the color because it's a very vibrant color and I rarely wear such a bold and vivid red lip color. It was said to be moisturising and softening because of it's natural moisturising ingredients, Carnauba Wax and Natural Oils. It did look moisturising as you can see in the photo the lipstick is glowing. Tried to swatch the color on hand and it was nice. It's a red color but with a little bit of orange in it. 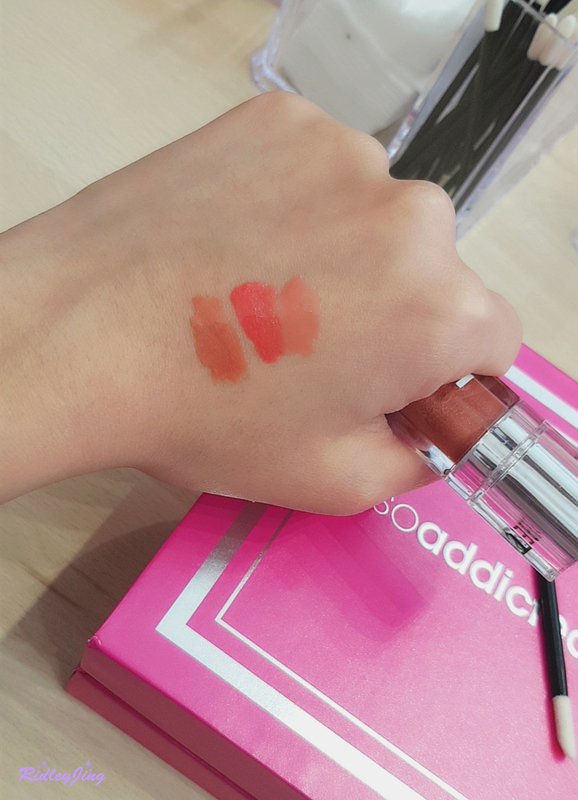 I thought that the lipstick will be a more glossy type but it turned out to be a bit matte. Just one swipe on hand, the color was so pigmented. I tried it out on my lip and the color was so nice. The texture is a bit powdery and it gave a matte /velvet finish. The color was so pigmented with just one glide. 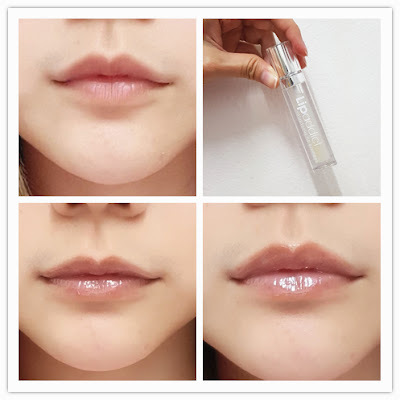 Although it gave a powdery feeling on your lip, it won't dried up my lip.. My lip still feel moisture and it also minimise the appearance of lip line. It literally smoothed my lip surface and made my lip looked fuller. Normally this kinda velvet finish lipstick will tends to become patchy after some time , but this lipstick still stayed nicely on my lip after some hours. It did faded a little bit, but the color still there. 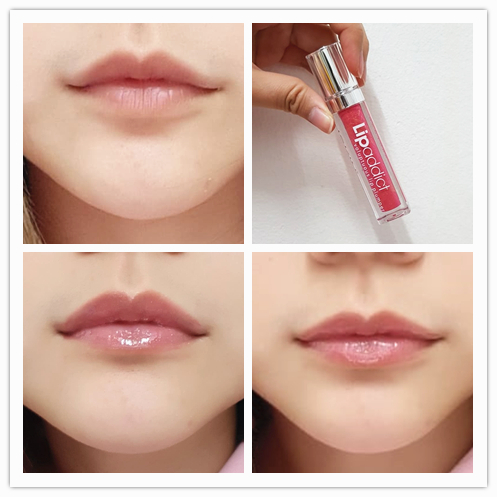 Let me show you a more closed up photo on the lipstick's application. I tried to dab the lipstick on my lip to create a gradient color on my lip. It actually lightened the red color and became a coral pink color which is really suitable for daily look. 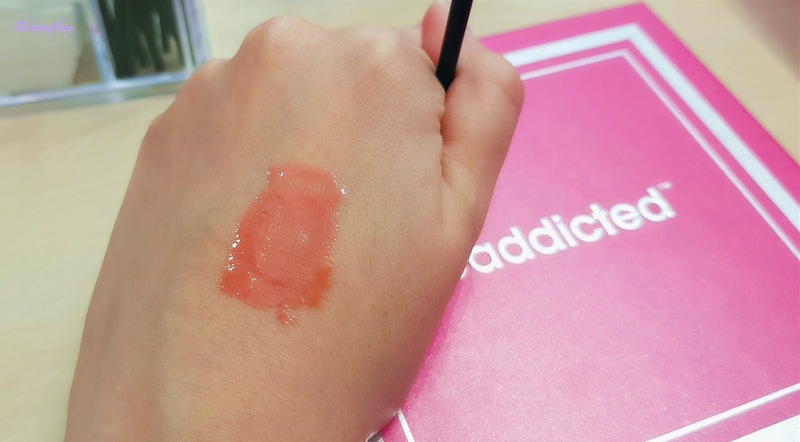 If bold red lip is too much for you, then try to dab it lightly on your lip, you will have this nice coral pink shade instantly. I highly recommend this for daily lip color. Then I tried to apply it fully to my lip. The red color became even more strong and vivid. You can still see a little bit of orange in it but it looks red in majority. I actually felt that my skin tone looks brighter with this bold red lip. 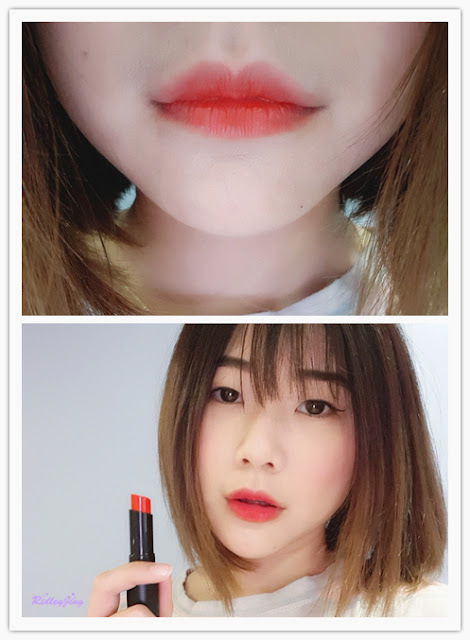 This bold red lip will be more suitable for events and party because it looks good in photo. The color is nice, it's good to have a red lipstick added into my lipstick collection. I really love how pigmented it is with just one glide. 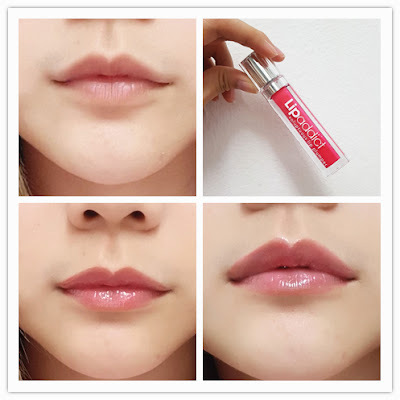 To be honest, I prefer to dab it on my lip for the gradient shade. I wore it to work some days and the color really stayed on my lip longer than my expectation. Even after I ate something, the color still visible (although already faded). Is it because of the natural ingredients? The lipstick did not dried up my lip. Some other matte/velvet finish lipstick mostly made my lip dried but Swanicoco Show The Velvet Lipstick really did a great job it maintaining the moist level of my lip. 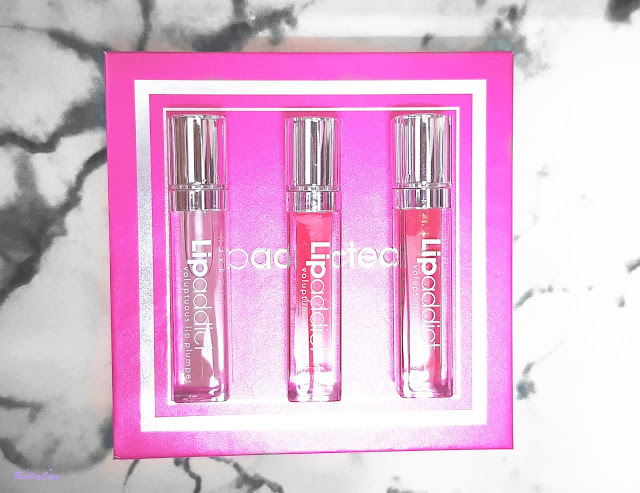 I really recommend this to girls (or guys) out there who really prefer a pigmented matte-finished red lip color. 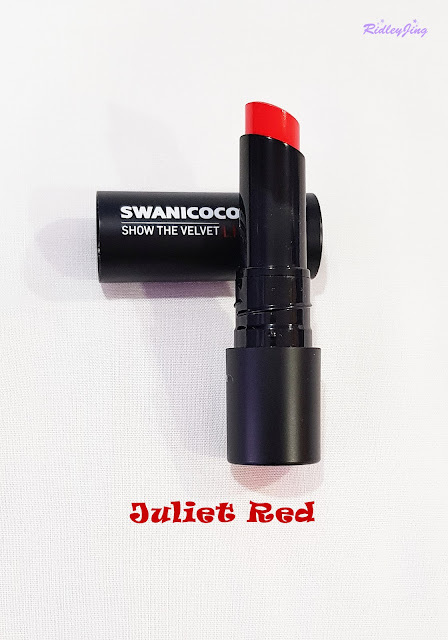 Where to get this Swanicoco Show The Velvet Lipstick? If you really want to try it out, act fast! 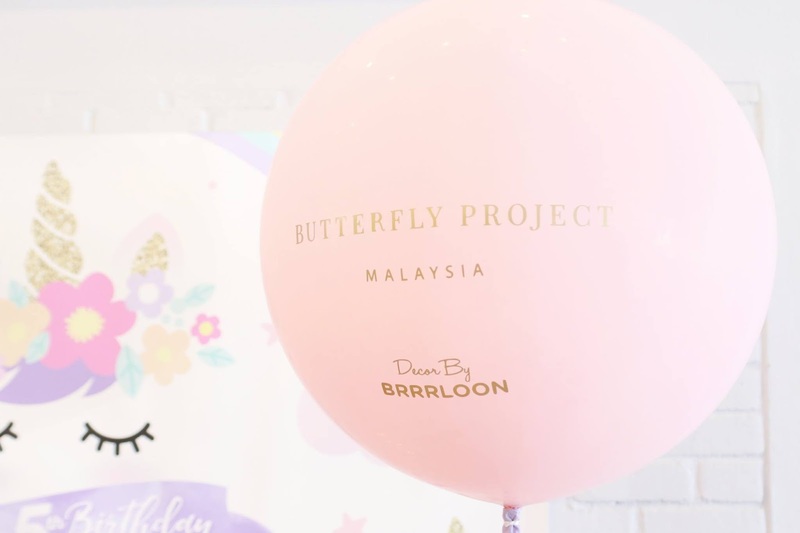 On the April Fool Day, The Butterfly Project decided to throw a birthday party for their 5th birthday! It's not an April Fool, the party is REAL! 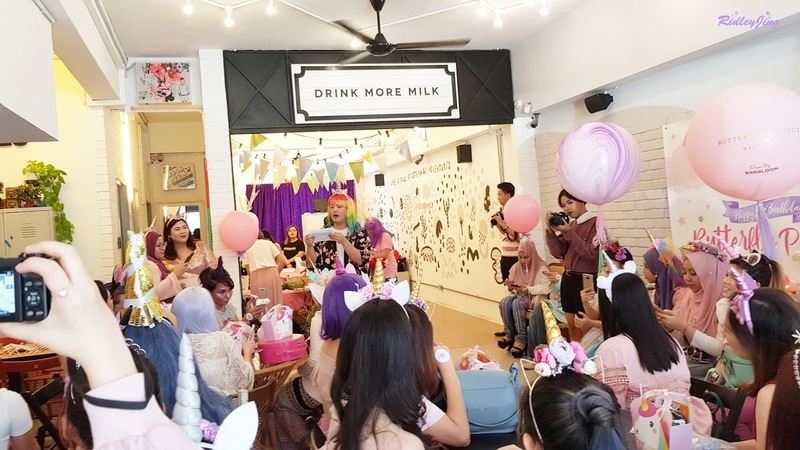 Yes, it's a Unicorn Party! I created a Vlog for that day just to remember this memorable day. It's been 5 years together with The Butterfly Project. So much memories, so much to say, all the people that I've met and became friends, all the events that I've attended and learned a lot... It's always great to be with this big family. Unicorn Cake is the most pretty cake ever! Not sure about the taste, but it's definitely insta-worthy. 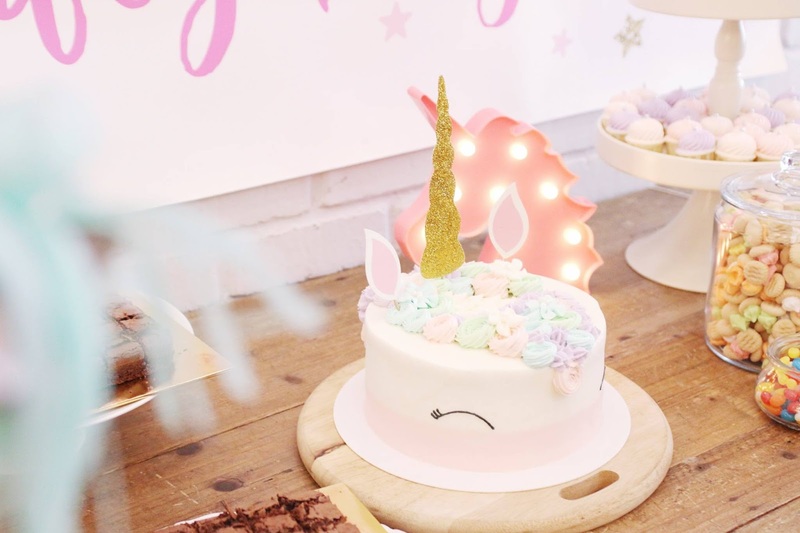 And the Unicorn Lights behind, so pretty! The Butterfly Project Birthday was like a huge gathering actually because everyone actually reserved the date to attend. It was good to spend the day with all of the butterflies there. Somemore everyone dress up nicely because we knew that definitely we will take a lot of photos. My OOTD of the day. Tried to put on all the purple, pastel color and lace just to match the theme of the day. But I noticed that my heels color was a bit dark in color, should wear another pair of heels. I invested a lot of time into this makeup look. Since I'm not really into this kinda special makeup, I took quite some time to try on different colors (especially the eyes makeup). 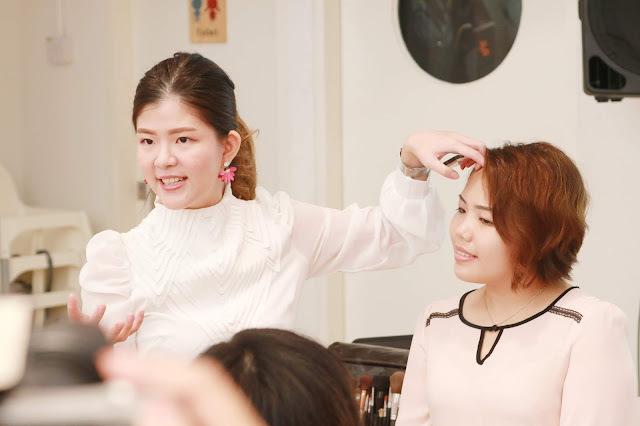 It was not easy and the makeup have to be very heavy and pigmented so it can be seen in photos clearly. Therefore, it's not easy to prepare for a themed party, it requires effort and time to achieve the party look. Here's is the overall party venue view on that day. The space was not that spacious but the decoration was so on point! Everything matched the theme so well. 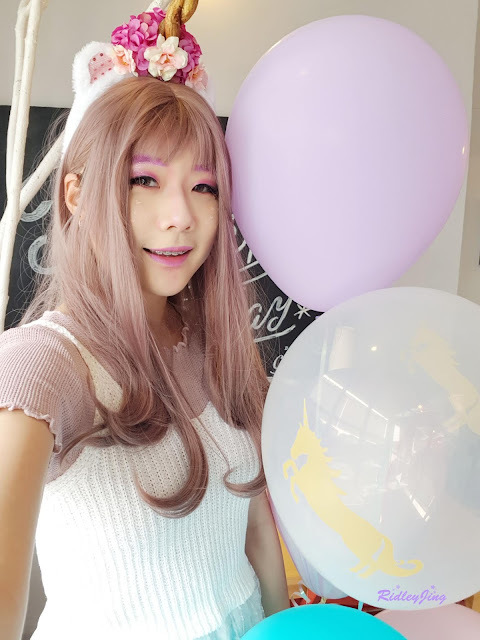 I really love the balloons, the colors were just so pastel. The event was mostly free and easy. We registered at the registration booth, got out activity card and that was it, we got to enjoy the party to the fullest. There was an opening speech to celebrate the party and also to provide a simple guide on the activities. 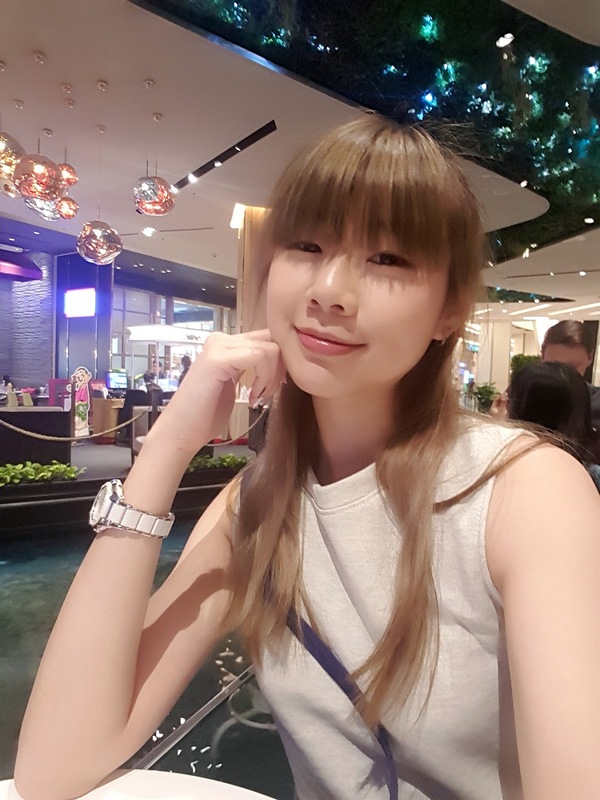 Most of the time, I just walk around, took video, eat and chit chat with friends. What's the activities for the day? 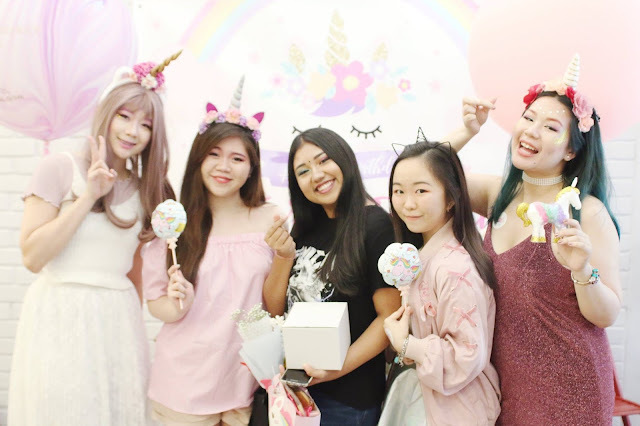 Photobooth is a MUST for a party! 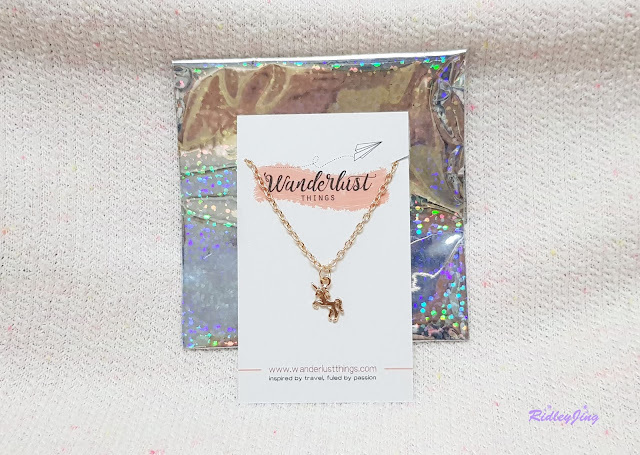 I was glad that GNG Studiobooth can actually sent the photo directly to our email. Photo turned out nice and the printout quality was waterprrof and anti-fingerprint. Yes, we can take Boomerang with this photobox! For me, it was a new cool features. After the recording, we can send the boomerang to our email together with the photo taken. How cool is that?! Yes, they brought in a flower bar for all the butterflies. At the flower bar, we got to customize our bouquet by choosing the flower we want and Everyday Flowers will decorate it nicely for us to bring home! 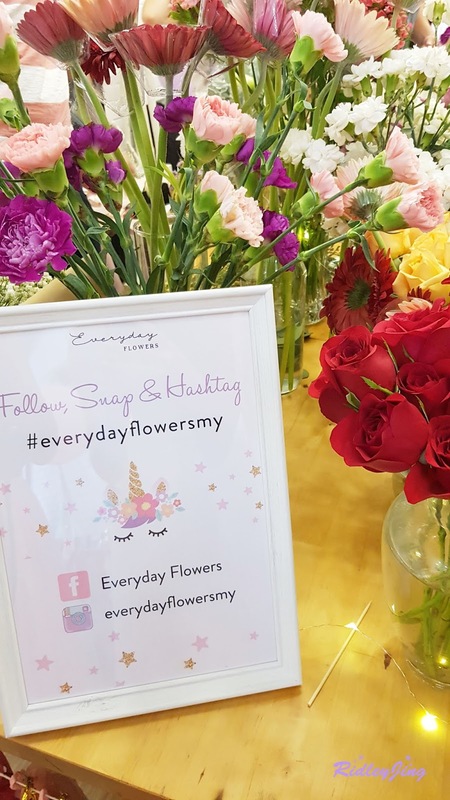 The flower bar just brightened up the event area, made the event even more dreamy. 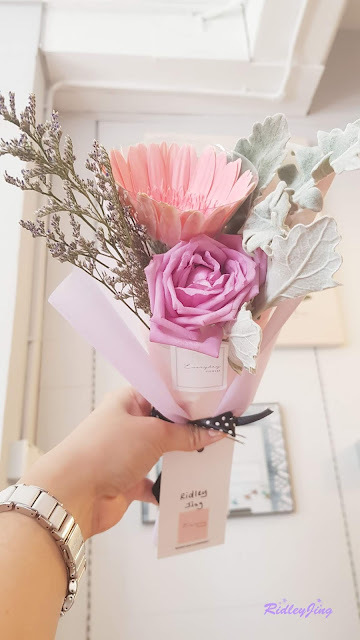 We can also brought the flower home and made it into our home decors, how nice! It was actually an auto-inflate balloon. Only 4 steps to DIY my very own balloon! I personally think that this is a very fun activity. It was my first time seeing an auto-inflate balloon. A big thanks to Brrrloon for introducing it to all of us. I tell you, this was the best thing ever! It was actually a surprise gift for us to bring home. 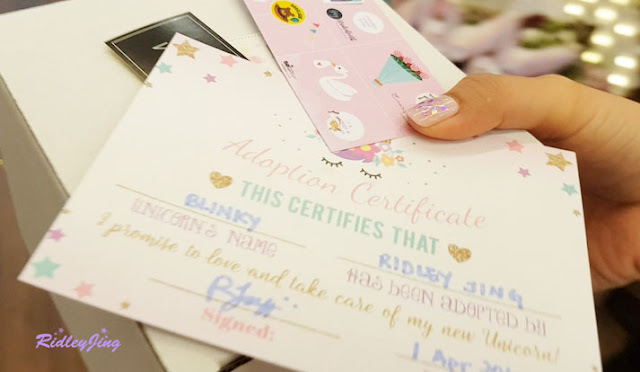 We have to named it and signed on an adoption certificate! I named my unicorn as Blinky! Here's my Blinky. 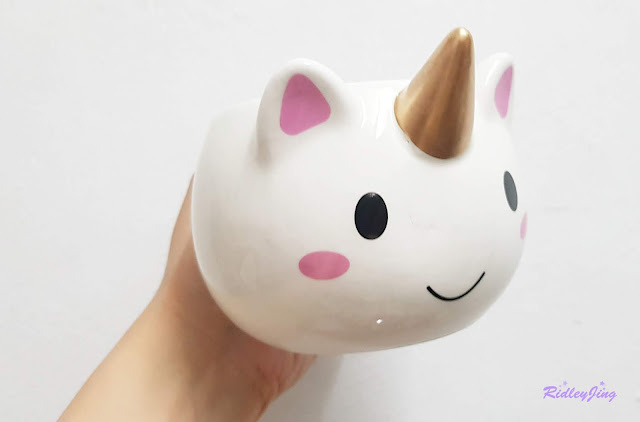 It's a Uniorn Mug. Haven't use it actually, I just keep it safe because it's just too adorable! Maybe I will use it to drink coffee, will it stains my Blinky? That pretty sums up the Birthday Party! 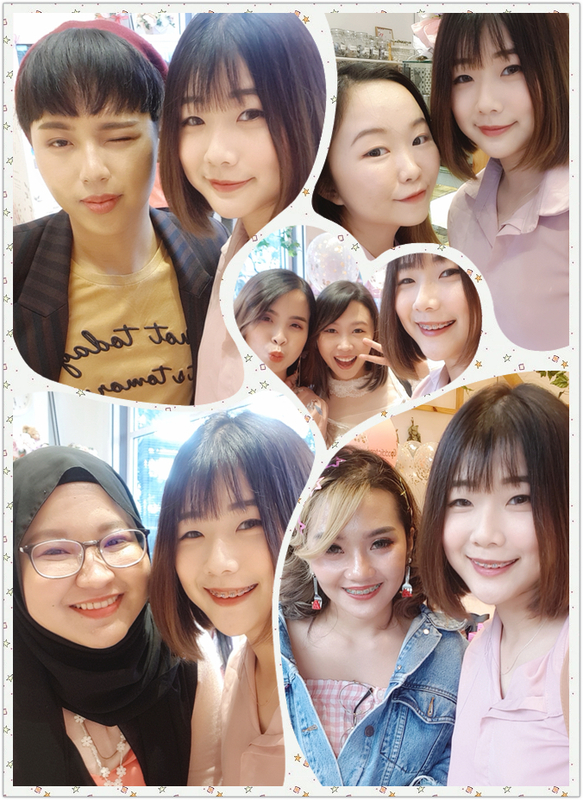 It was a very chill and comfortable party session for me.I got to caught up with friends, met new friends, ate nice food, captures some pretty photos and videos, brought home some gifts, it was a nice day for me. YES, it's time to show off the contents in the Unicorn Bag! You can get this set at the price RM89 at belif Malaysia stores. 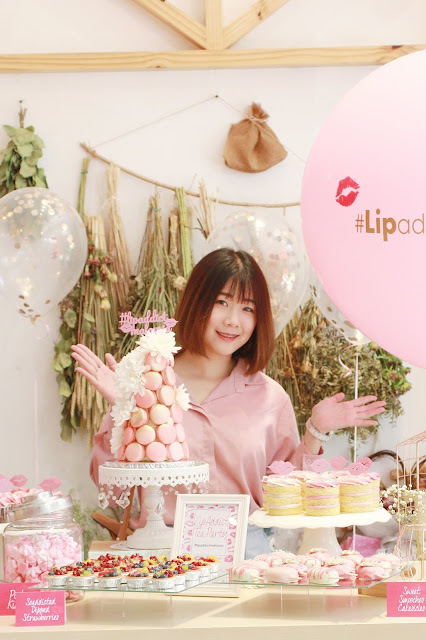 It's their Lip and Eyes Product. The color was purple and pink. 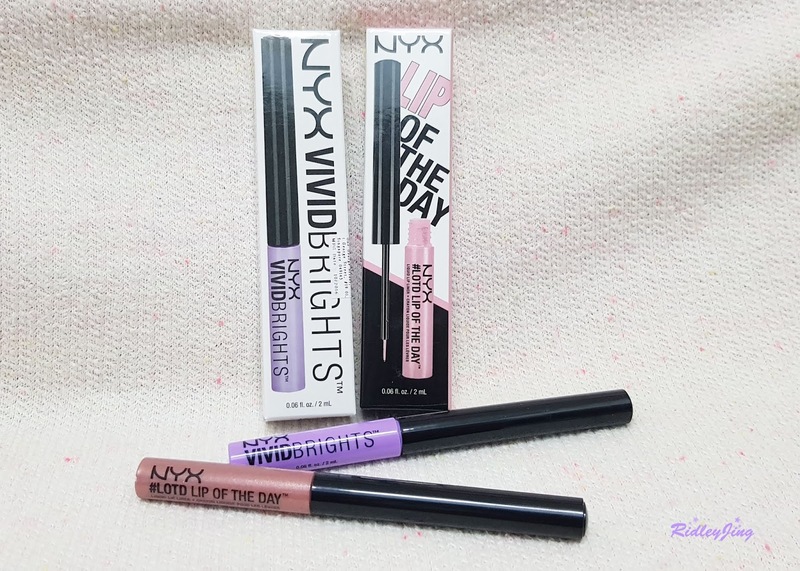 The color is pigmented but I think I will only use it for some special occasions. But the color is nice! You can get it at selected stores like Watsons and Sasa Malaysia. Himawari hair c are samples from Dear Beaute. It was very good for travel purpose, easy to carry. It came with shampoo and conditioner for Rich & Repair and Volume & Repair. You can get it at selected stored such as Watsons and Guardian. 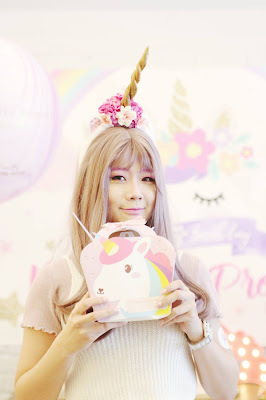 How you think about the Unicorn Bag? Nice right? 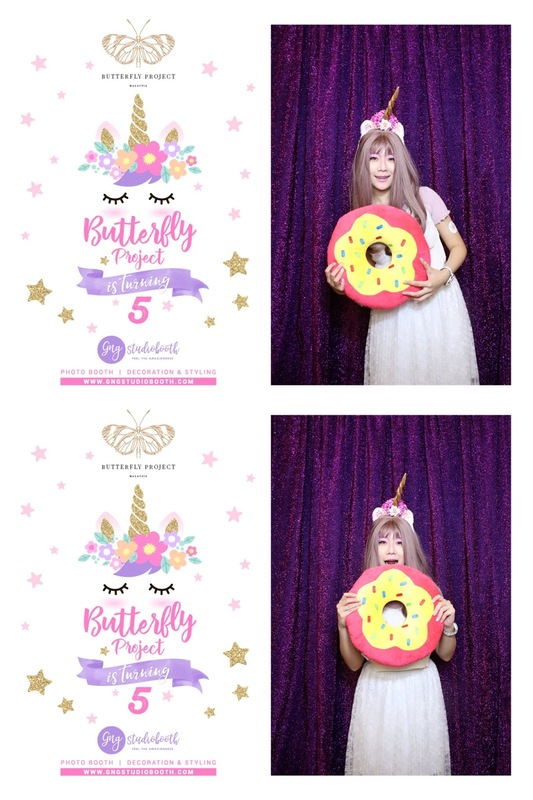 Thanks to all the sponsors and also The Butterfly Project. I think that's all for my update.